New Haven Promise Scholars are invited to join ‘The Promise of Madness’ in the Capital One NCAA March Madness Bracket Challenge (which will open after brackets are revealed on Selection Sunday). Who will be the best bracketologist in New Haven? Below is a photo of instructions for first-timers. 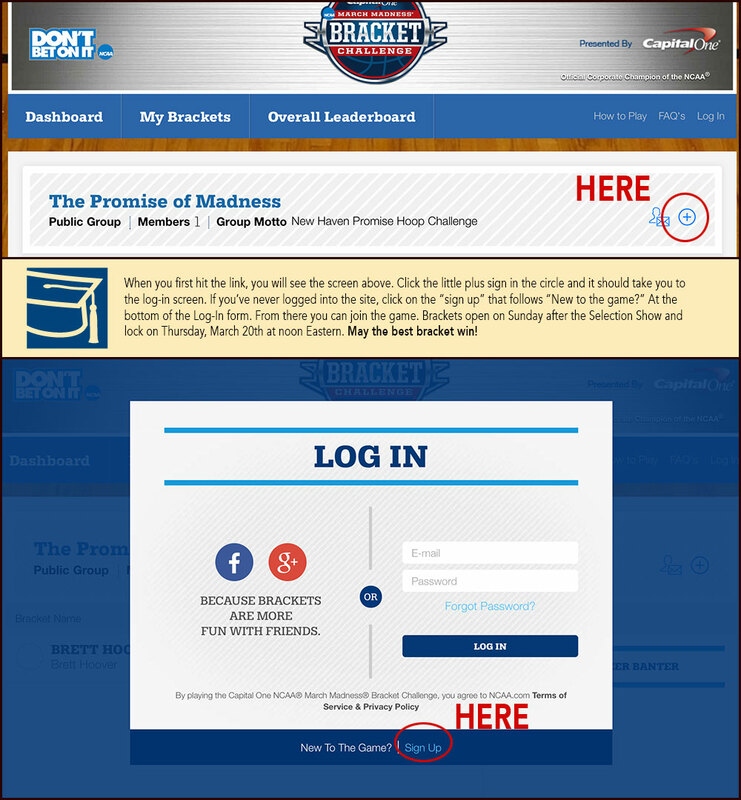 Click anywhere on the image below when you are ready to be taken to the New Haven Promise bracket.